Originally posted 04 August 2011: Always on the lookout for new luggage, as we clearly have a travel bag fetish, we were very happy to discover the new Hard Carry from Japanese brand Muji (Japan's version of Ikea). The Hard Carry does away with the high gloss of most hard sided carry-ons, and opts for a more subdued look in muted colours. 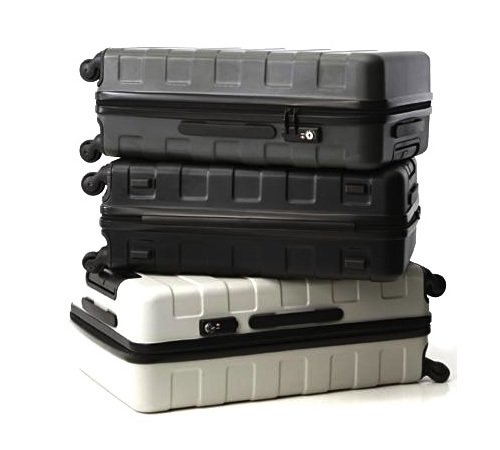 Made from polycarbonate, and sporting 360 degree rotating wheels on all four corners, you get all the best features available in the carry-on market today. The best part, these bad boys can be had for less the $200, making them not only cool, but affordable as well.